Go through the Riviera Maya and not delve into her wild and exuberant bored to find the heart of the jungle side would be an unforgivable mistake. These stunning water reserves contained in authentic limestone caves that erosion by rain or undercurrents pierced until they came to collapse domes, let us fascinating spaces where swimming and diving, always with the company of guides and qualified personnel. 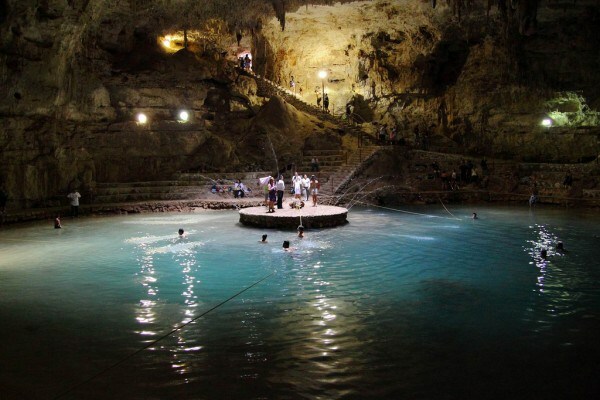 Here are the 10 most impressive cenotes of the Riviera Maya. 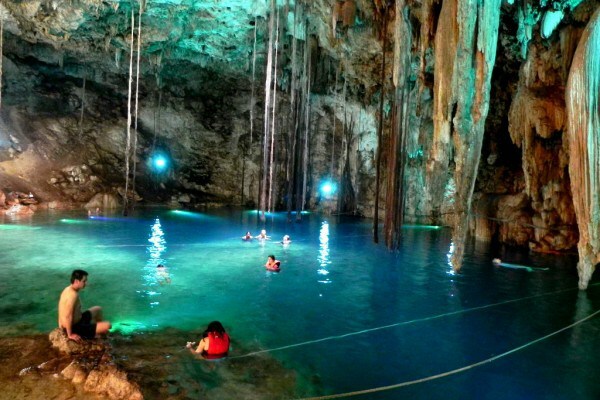 Located in Puerto Aventuras, the Chac Mool has two entrances leading to their respective cavities, the first of considerable size and the second seed stalagmites. You’ll love it, because the fact that in his bed fresh and salt water converge cause the phenomenon known as haloclina, in which layers of different salinities are perfectly defined columns. 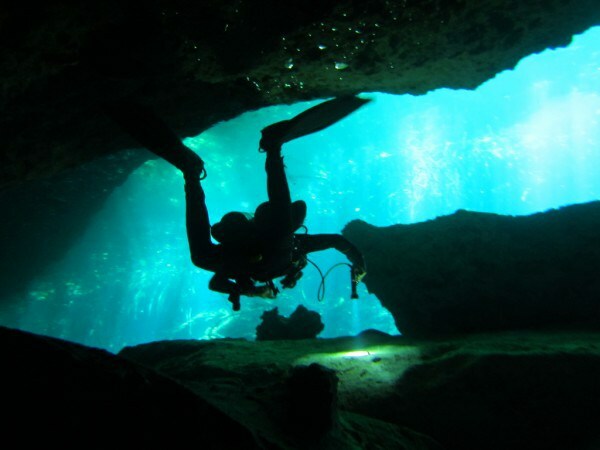 Although Chac Mool is a favorite for divers with little practical cenotes, it is essential that you respect the signs of danger and Remove not the areas closed to public use, as they do not can lead to accidents with fatal outcomes. This cenote is 3 kilometers from Valladolid, on the road linking the city with Merida; so communications are excellent. Here you will experience a spectacular feeling, because access to the cave is covered through a fairly narrow opening, so when the space opens onto a monumental stay, magic is spellbinding. 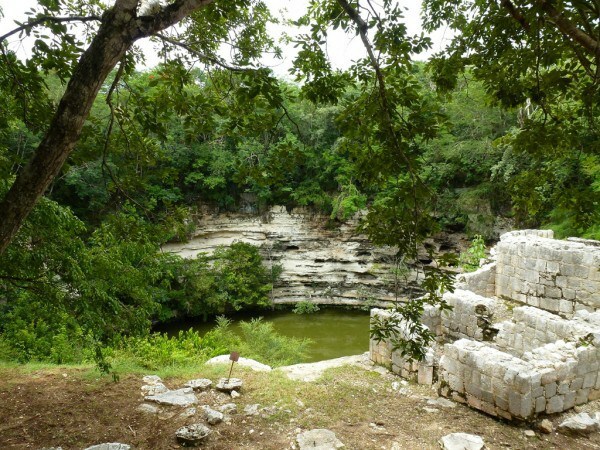 Xkeken is well conditioned for being one of the most tourist cenotes. It has great access facilities with guardrails, ropes holding you go and relax while swimming and You travel wide spaces and platforms where accommodate. The crystalline waters of a turquoise blue and majestic stalactites will not disappoint. Only 5 kilometers from Chichen Itza this cenote is open pit that was used in ancient times, like almost everyone, sacred purposes. With 60 meters in diameter and cut walls of 15 meters, it is connected with the pyramid of Kukulcan through a path of 300 meters. Its proximity made it important for the Maya people of the area, which used the sacred cenote to launch virgin sacrifice to appease the rain god. At the bottom they have found remains of young women dressed in elaborate costumes. This is the ideal cenote to let your imagination and meet our ancestors. This is the local name of Cenote Taj Mahal, which has taken its name from the famous Indian monument, thanks to the majesty of this natural wonder. Cenotes are actually four interconnected 25 kilometers south of Playa del Carmen. It is very well prepared, bathrooms and restaurant but to explore it in its fullness have to be an expert diver and overcome the wall five meters deep which allows access to great cavities. The landscape of stalactites and stalagmites will be of overwhelming beauty. Almost 4 kilometers of Tulum towards Cobá deposits, is the most famous cenote of this part of the country. It has a characteristic crescent shape and is suitable for everyone as it has shallow areas where you can enjoy snorkeling without difficulties. Similarly you can dive in other areas with depths up to ten meters, a feature to consider if you are an expert diver. There are good facilities including parking for cars and diving equipment rental. Its clear waters alternate a fantastic experience, both opencast and stalactites roofed areas. Suytun is also a beautiful cenote, a great resort rural and natural tourism. It is 8 kilometers from Valladolid and offers accommodation in cabins and a museum with archaeological remains found in the same cenote. Complementing you can enjoy the experience offered by the cattle ranch also found at this point. Admission costs just over $ 4 and gives access to a beautiful and impressive underground cave so shallow and clear waters you can watch the fish. Around this impressive and beautiful cenote it has developed an entire eco-park, which in addition to its lush forest and many birds, can stay overnight in one of their little cottages of high standing, stand out the pure Maya style, but with jacuzzi. No shortage of restaurants and shops where to buy souvenirs. Cenote Ik Kil is one of the most spectacular places in Yucatan just 3 kilometers from Chichén Itzá. You should not miss it. 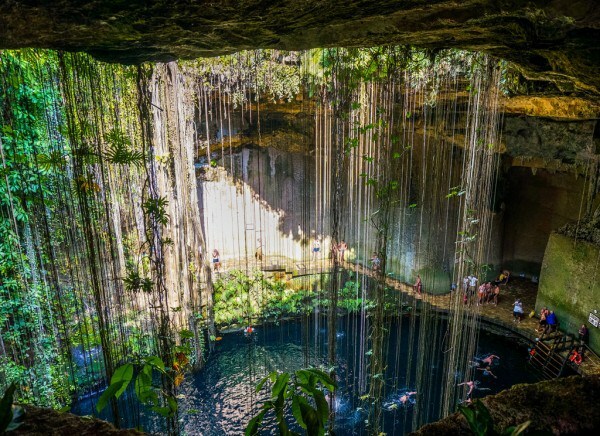 This cenote of Quintana Roos is also known as Cenote Eden. As you get the reasons for the name you will be well obvious, since the environment in which it is open to the sky, it is wonderful. 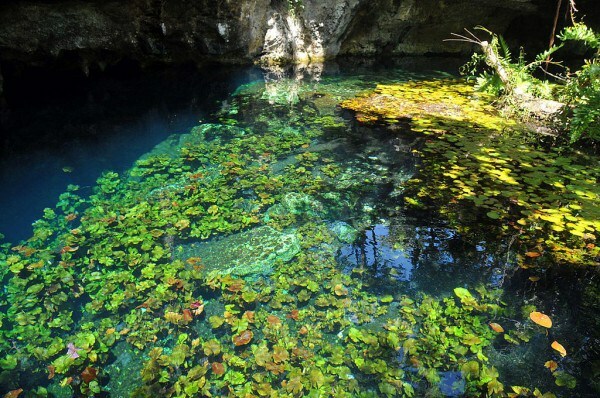 The vegetation of this enormous natural pool, with a depth of about 15 meters, falls down the sides of the walls. The waters are crystal clear green that allow you to see the species that live in this ecosystem. You will see that likeable are turtles and eels. 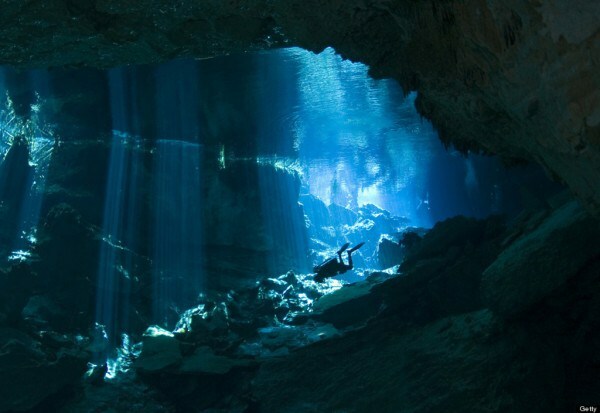 We enter a favorite cenotes to cave diving enthusiasts. Their discovery is fairly recent, in the 80s, and are still exploring undiscovered kilometers and kilometers, with more than 6,700 meters and investigated. At some points, the cenote Dos Ojos reach up to 120 meters deep, so it is very important that you have a lot of experience for sports in this flooded cave. If you do not see sufficient capacity, it is best that you hire the services of qualified who will accompany you during the dive instructors. 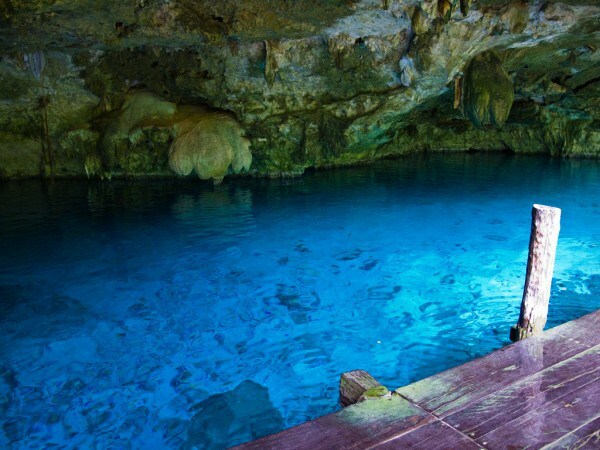 Before entering this gorgeous cenote, you have to enjoy your fabulous access and picturesque local craft stalls. Then you must go down a narrow staircase carved into the stone. We advise you to stop a little in the first floor and see from here the captivating beauty of this flooded cave. 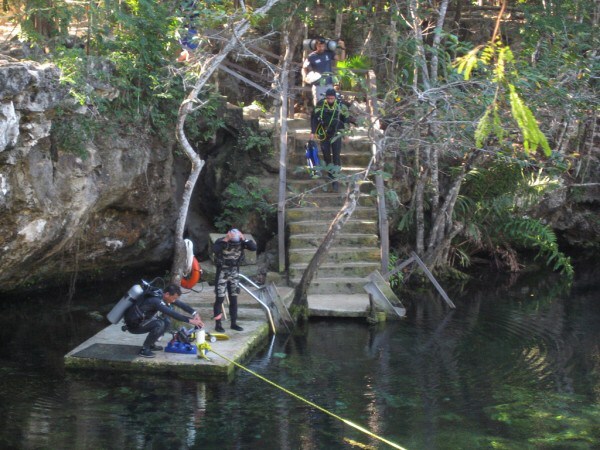 Then you can continue the descent by wooden ladders to the floor of the cenote Samula. Here there are platforms to rest, leave things and prepare for swimming. 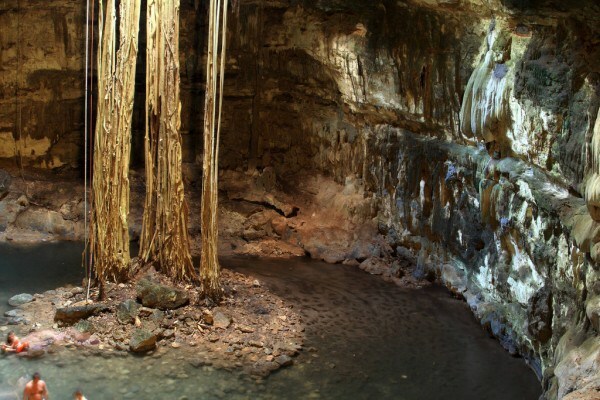 It is also the perfect place to contemplate the long roots of a tree that slide down to the bottom of the cenote place. If you want to dive, you can rent out equipment.